Jan van Ravesteyn (ca. 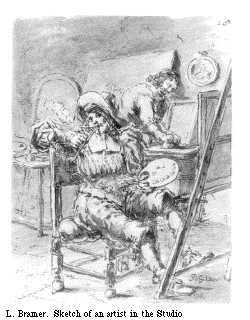 1572-1657) Portrait painter, trained according to some by Michiel van Mierevelt but this is not certain. Member of the extended Ravestijn family of painters, The Hague. Not to be confused with his nephew Anthony van Ravesteyn. Jan's name appears in Delft documents, 1597. Karel van Mander called him "a very good portrait painter" ; he got important commissions. Made a number of large militia platoon group portraits, "schutterstukken" now in the the Historic Museum of The Hague. Note: Note. E. Buysen, Haagse schilders in de Gouden Eeuw, Hoogsteder The Hague / Waanders Zwolle, 1998, p. 230, 340.